At Suncrest your ideas are limitless—our electric fireplaces can be installed wherever you imagine, in your home, office or apartment. Designers and contractors love that electric fireplaces are zero-clearance and are ready to be installed without venting, a chimney or costly hook-up, so there are no limits to their creativity. Homeowners love the affordability and smaller environmental footprint of electric fireplaces compared to gas. Our truly stunning range will add that finishing touch to any contemporary home, apartment, resort, hotel, or reception! 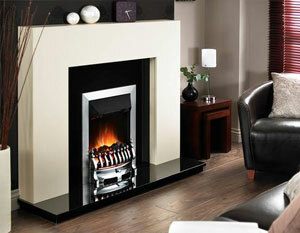 These gorgeous fires don’t require a flue; simply screw bracket into wall, mount the fire, plug in and you’re away.